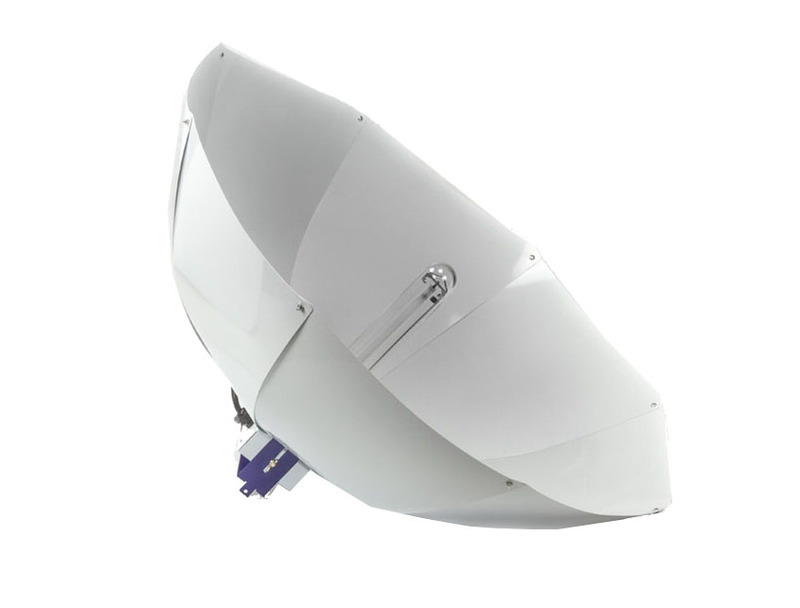 Available in premium Ultra 95% reflective or standard White powder coated aluminium, 80cm parabolic growlight reflector. Produces maximum intensity light concentrated uniformly into 1sqm, rated for up to 1000W. The Shinobi has been designed & engineered in the UK using premium quality components & wiring ensuring a high quality lightweight parabolic reflector. 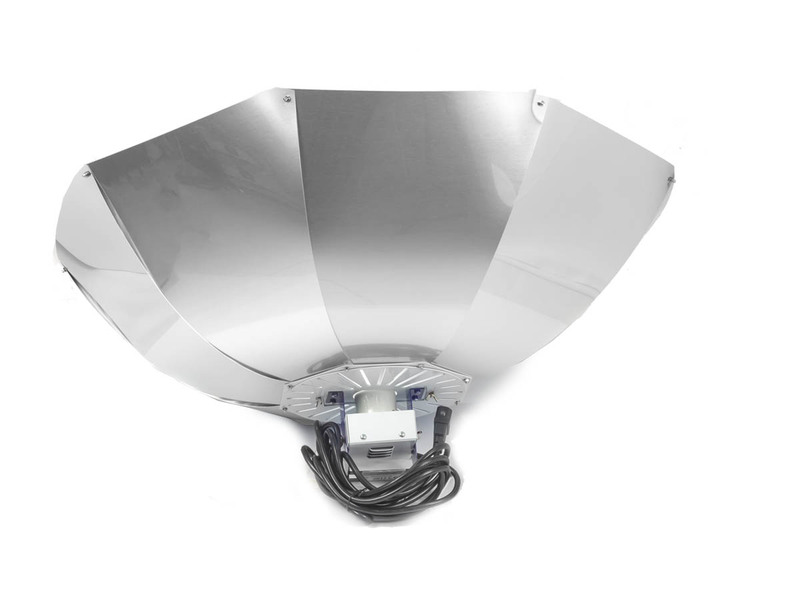 This 80cm HID parabolic hood has been designed to focus the light straight down into a 1sqm footprint and is ideal for growing large plants in small grow rooms/tents. The lamp holder is vertically mounted and all the light is reflected downwards rather than sideways. This method of focusing the light ensures an even uniform spread of the light without any hot spots and cool enough to position the hood closer to the plant canopy increasing the amount of PAR (grow light) onto the plant. The Variable Ventilation System (VVS) allows increasing or decreasing the amount of escaping hot air. If the canopy is too hot simply adjust the top plate to allow maximum airflow. Alternatively if you wish to increase the canopy temperature then close the vent system. The Shinobi is available in Ultra; which is the premium highly reflective (95%) version made from Focal 95 or in standard powder coated White. This reflector is rated for E40 base HPS & MH grow lamps up to 1000W and is fitted with a 4m power cable to IEC. 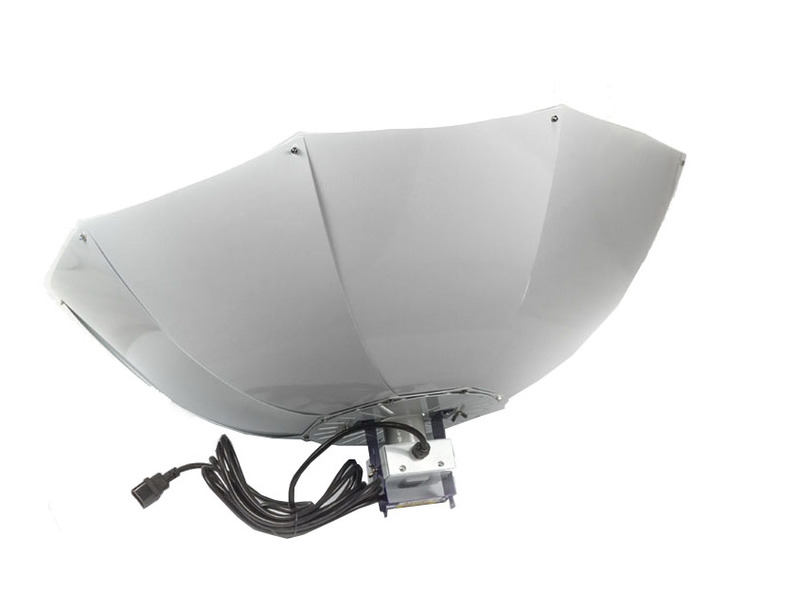 The Shinobi is a brand new design of parabolic reflector manufactured to the highest standards. It has been designed to throw as much light downwards as possible. It measures 80cm across and aims to throw light evenly down at approximately 1m square. 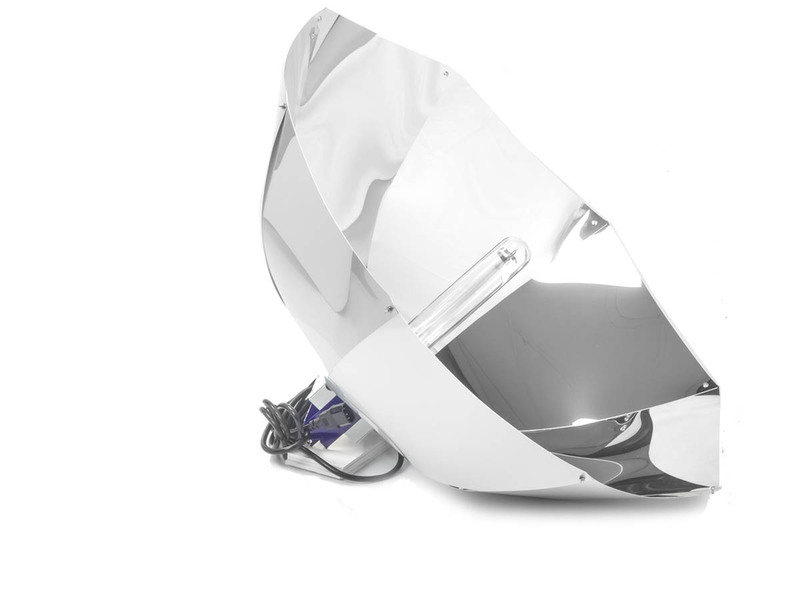 If you are looking for a shade that gives you a wide light spread then this is not the shade for you, you need the Turrican reflector. Lumatek realised that there wasn't a reflector specifically tailored for those growing in a small space such as a tent. Normal reflectors allow a lot of light to go sideways , the SHINOBI makes all of the light go downwards not relying on the sides of tents/walls to reflect the light. The SHINOBI is entirely made from aluminium , the bulb holder , the hanger , the leaves and both top plates. This was done to keep weight to an absolute minimum. The SHINOBI is the first shade to incorporate the 'VVS' ( Variable Ventilation System). It has a unique adjustable top plate that allows the end user to increase or decrease the amount of escaping hot air. If the canopy is too hot simply adjust the top plate to allow maximum airflow. Alternatively if you wish to increase the canopy temperature then close the vent system. The SHINOBI comes in two forms 'white' and 'ultra' The white is the standard powder coated version and the Ultra is the premium highly reflective (95%) version made from Focal 95. Lumatek have also upgraded the wiring on the SHINOBI , Both the standard and the premium version use the same lamp holder system. It uses a wiring connector rated to 750 volts, standard shades usually use ones rated to 350v. Additionally the wiring is sealed in a fully enclosed unit with cable grips at both ends. 3 x 1.5mm cable is used compared to 3 x 0.75mm used on a lot of competitors reflectors. 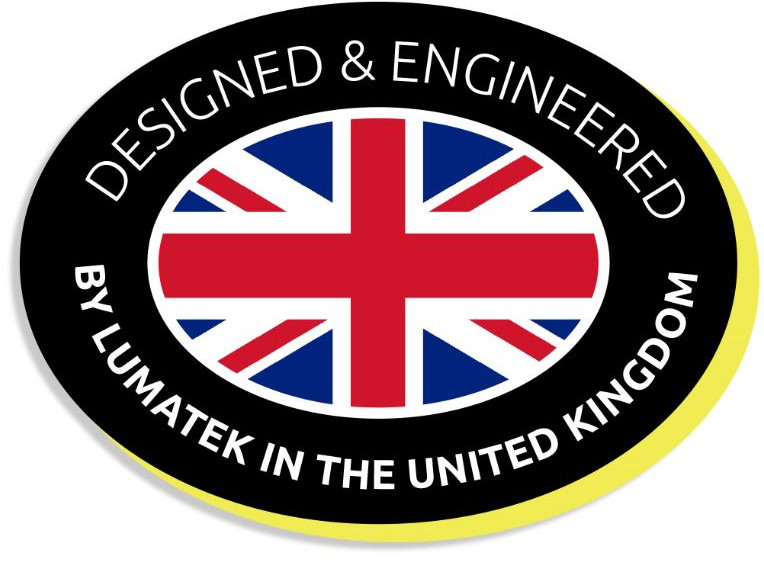 Despite all of these innovative and great new features Lumatek have managed to keep the prices down to the same level as similar inferior parabolic reflectors.